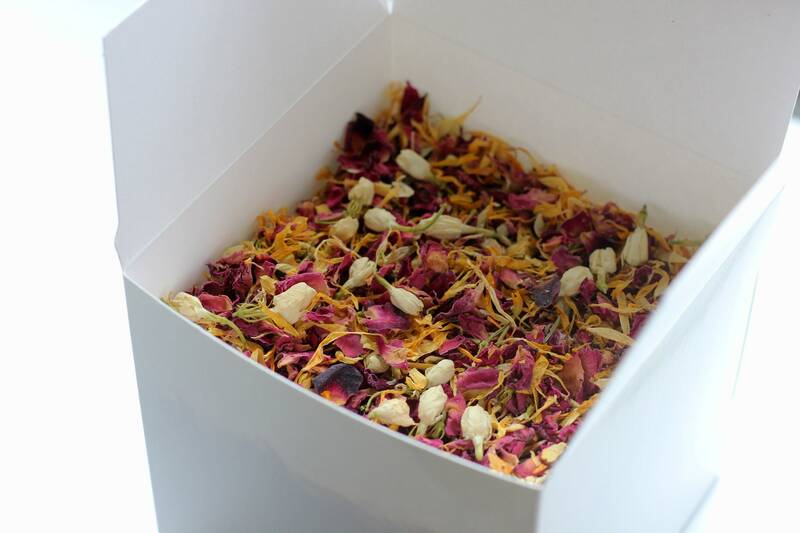 A bright, summery mix of crimson, ivory and marigold petals. 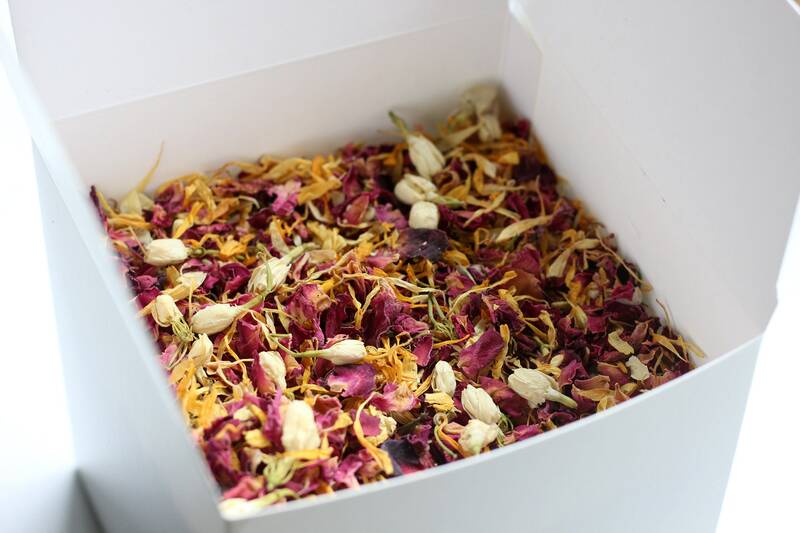 A very pretty, naturally fragrant biodegradable confetti option. Single portion 1/4 cup, equivalent to fill an A5 paper cone or small pouch. Do you need CONFETTI CONES OR TOSS BAGS? 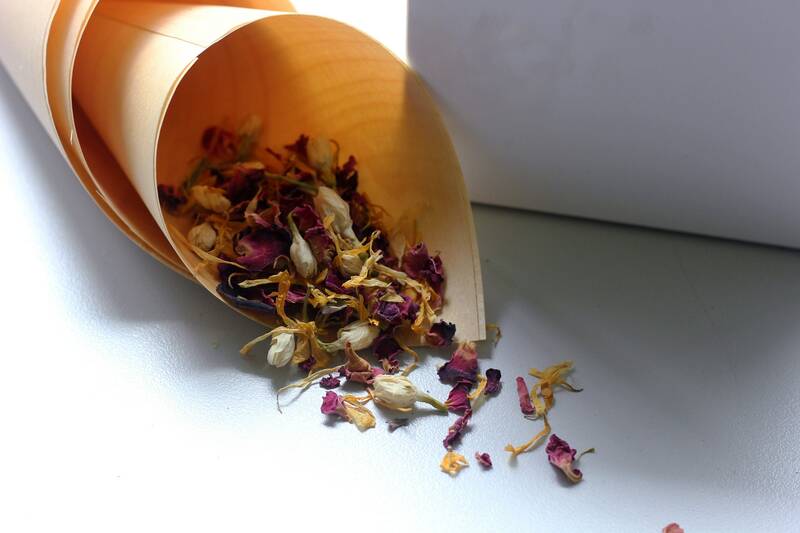 I also supply white and kraft eco friendly paper Bloom Bags & CONFETTI CONES. Printed or hand stamped with various cute designs, find a style to best match your ceremony styling.